The Bounty Islands were discovered and named by Captain Bligh of the Bounty in 1788. Although he described them as “bare and desolate, with the inability to afford any vegetable production” they are still a unique destination for those on a ship tours in the Southern Pacific ocean. There might not be any vegetation on the Bounty Islands, but during the spring and summer the islands are breeding grounds for thousands of sea birds including Salvins Albatross and the endemic Erect Crested Penguin. Explore the 'Albatross Latitudes and explore the most remote Subantarctic islands including Snares, Bounty, Antipodes, Auckland, Campbell, Macquarie & Chatham Islands on this comprehensive 19 day expedition perfect for those interested in birds, history, wildlife. Explore the 'Albatross Latitudes and explore the most remote Subantarctic islands including Snares, Bounty, Antipodes, Auckland, Campbell, Macquarie & Chatham Islands on this comprehensive 19-day expedition perfect for those interested in birds, history, wildlife. Like The Snares, the Boounty Islands are non-volcanic and consist entirely of basement biotite granite, with occasional finer grained variations, which date from the early Jurassic period (180 to 190 million years ago) and have no obvious correlations with rocks in nearby groups. They appear to be distantly related to those of Thurston Island in West Antarctica. Captain William Bligh of the Bounty discovered and named the Bounty Islands in 1788. Until the modern day visitors armed with cameras, it was only in the early 1800s that they had any appeal to humans. Gangs of sealers were marooned there on the most inhospitable of bare rock terrain, without any natural vegetation or even a permanent fresh water supply. The vast seal population almost completely destroyed in a very short time, but today the numbers are slowly recovering. Vice-Admiral William Bligh (9 September 1754 to 7 December 1817) was an officer of the British Royal Navy and a colonial administrator. He is best known as Captain Bligh of 'Mutiny on the Bounty' fame, where the literature chronicled, in part, the real history. The mutiny was against his command, and he is well remembered for the remarkable voyage he made to Timor in the Bounty’s launch after being set adrift by the mutineers – an extraordinary feat of navigation and survival against all odds by any informed measure. Many years after the Bounty mutiny, Bligh was appointed Governor of New South Wales in Australia, with a mandate to clean up the corrupt rum trade of the New South Wales Corps. Bligh was born in Saint Tudy, near Bodminin, England. He signed up for the Royal Navy in 1761 at the age of seven, in the same town. It was common practice to sign on as a ‘young gentleman’ simply in order to rack up the required years of service for quick promotion. In 1770, at the age of 16, he joined HMS Hunter as an able seaman, the term being used only because there was no vacancy for a midshipman. He became a midshipman early in the following year. In September 1771, Bligh was transferred to the Crescent and remained on that ship for three years. In 1776, Bligh was selected by Captain James Cook for the position of Sailing Master on the Resolution and accompanied Cook in July 1776 on his third and fatal voyage to the Pacific. He reached England again at the end of 1780 and was able to give further details of Cook’s last voyage. Bligh married Elizabeth Betham, the daughter of a Customs Collector, while stationed in Douglas, Isle of Man, on 4 February 1781 at the age of 26. The wedding took place at nearby Onchan. A few days later, he was appointed to serve on HMS Belle Poule as its master. Soon after this, in August 1781, he fought in the Battle of Dogger Bank under Admiral Parker. For the next 18 months, he was a lieutenant on various ships. He also fought with Lord Howe at Gibraltar in 1782. Between 1783 and 1787, Bligh was a captain in the merchant service. In 1787 he was selected as Commander of the Bounty. In order to win a premium offered by the RSA, he first sailed to Tahiti to obtain breadfruit trees, then set course for the Caribbean, where breadfruit was wanted for experiments – to see whether it would be a successful food crop for slaves there. The Bounty never reached the Caribbean, as mutiny broke out on board shortly after leaving Tahiti. The voyage to Tahiti was difficult. After trying unsuccessfully for a month to round Cape Horn, the Bounty was finally defeated by the notoriously stormy weather and forced to take the long way around the Cape of Good Hope. That delay resulted in a further delay in Tahiti, as the ship had to wait five months for the breadfruit plants to mature enough to be transported. The Bounty departed Tahiti in April 1789. Since it was only rated as a cutter, the Bounty had no officers other than Bligh himself, who was then only a Lieutenant; a very small crew; and no Marines to provide protection from hostile inhabitants during stops or to enforce security on board ship. To allow longer uninterrupted sleeps, Bligh divided his crew into three watches instead of two and placed his protégé Fletcher Christian – rated as a Master’s Mate – in charge of one of the watches. The mutiny, which broke out during the return voyage on 28 April 1789, was led by Christian and supported by a third of the crew, who had seized firearms during Christian’s night watch and then surprised and bound Bligh in his cabin. Despite being in the majority, none of those loyal to Bligh seemed to have put up any significant struggle once they saw Bligh bound, and the ship was taken without bloodshed. The mutineers provided Bligh and the 18 of his crew who remained loyal with a 7m (23ft.) launch, a sextant and a pocket watch, four cutlasses and food and water for a few days, but no charts or compass. The boat was so heavily loaded that the sides were only a few inches above the water. The launch could not hold all of the loyal crew members, so four were detained on the Bounty by the mutineers for their useful skills; they were later released at Tahiti. Tahiti was upwind from Bligh’s initial position, and was the obvious destination for the mutineers. Many of the loyalists claimed to have heard the mutineers’ cry “Huzzah for Otaheite!” as the Bounty pulled away. Other than Tahiti, Timor was the nearest European outpost. Bligh and his crew made for Tofua first, in order to obtain supplies. There they were attacked by hostile natives, and a crewman was killed. After fleeing Tofua, Bligh didn’t dare stop at the Fiji islands, as he had no weapons for defence and expected further hostile receptions. Bligh had confidence in his navigational skills, which he had perfected under the instruction of Captain Cook. His first responsibility was to survive and get word of the mutiny to British vessels that could pursue the mutineers as soon as possible. Thus he undertook the seemingly-impossible 6701km (3618n.m.) voyage to Timor. In this remarkable act of seamanship, Bligh succeeded in reaching Timor after a 47 day voyage, with the only casualty being the crewman killed on Tofua. Ironically, several of the men who survived this ordeal with him soon died of sickness, possibly malaria, in the pestilential Dutch East Indies port of Batavia, as they waited for transport to Britain. To this day, the reasons for the mutiny are a subject of considerable debate. Some believe that Bligh was a cruel tyrant whose abuse of the crew led crewmembers to feel that they had no choice but to take the ship from Bligh. Others believe that the crew, inexperienced and unused to the rigours of the sea and, after having been exposed to freedom and sexual excess on the island of Tahiti, refused to return to the ‘Jack Tar’ existence of a seaman. They were led by a weak Fletcher Christian and were only too happy to be free from Bligh’s acid tongue. They believe that the crew took the ship from Bligh so that they could return to a life of comfort and pleasure on Tahiti. Bligh eventually returned to London, arriving in March 1790. Popular fiction often confuses Bligh with Edward Edwards of HMS Pandora, who was sent on the Royal Navy’s expedition to the South Pacific to find the mutineers and bring them to trial. Edwards was allegedly every bit the cruel man that Bligh was accused of being; the 14 men that he captured were confined in a cramped 18’ x 11’ x 5’ 8” (5.5 x 3.35 x 1.72m) wooden cell on the Pandora’s quarterdeck. When the Pandora ran aground on the Great Barrier Reef, four of the prisoners and 31 of the crew were killed. The prisoners would have all perished had not William Moulter, a bosun’s mate, unlocked their cage before jumping off the sinking vessel. In October 1790, Bligh was honourably acquitted at the court-martial inquiring the loss of the Bounty. Shortly thereafter, a narrative of the mutiny on board HMS Bounty was published. Of the 10 surviving prisoners eventually brought home in spite of the Pandora’s loss, four were acquitted due to Bligh’s testimony that they were non-mutineers that Bligh was obliged to leave on the Bounty due to lack of space in the launch. Two others were convicted because, while not participating in the mutiny, they were passive and did not resist. They subsequently received royal pardons. One was convicted but excused on a technicality. The remaining three were convicted and hanged. The Bounty Islands’ only species of higher vegetation are a few plants of Cook’s scurvy grass which were recently discovered on two of the islands. One of the world’s only two colonies of Erect-crested Penguin is found here, as well as the world’s principal colony of Salvin’s Albatross. One of the rarest cormorants, the Bounty Shag, is easily observed but entirely restricted to this barren group. Petrel’s and Fulmar Prions are also common nesters, while the Subantarctic Skua, Kelp and Red-billed Gulls and Antarctic Tern also breed here. 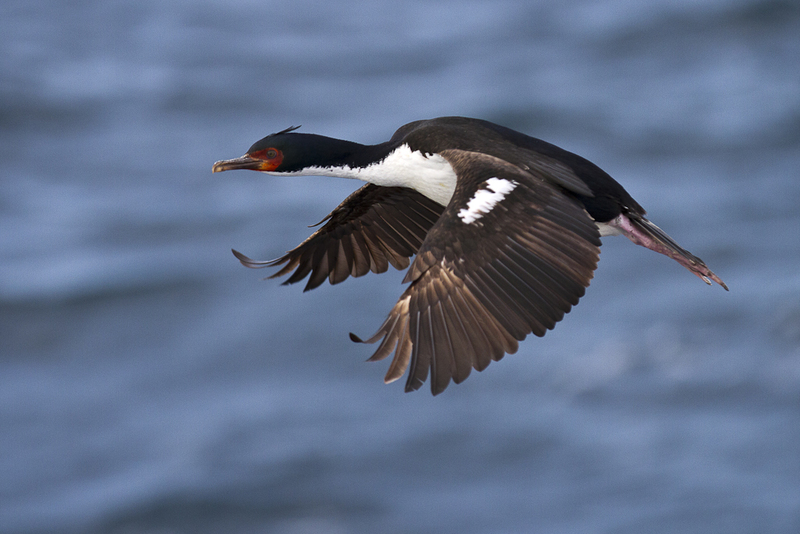 In 2008, the Bounty Island Shag, Phalacrocorax ranfurlyi, was recorded on the IUCN Red List Category as vulnerable. This is because it has a very small population and breeding range, rendering it susceptible to genetic effects and human impacts. If population fluctuations are shown to be extreme, or if there is any population decline, it may warrant upgrading the listing to critically endangered. The shag averages 71cm (28in.) in height and is a large, black-and-white cormorant. It has a black head, hind neck, lower back, rump, and upper tail coverts, all with a metallic blue sheen. White underparts can be seen above its pink feet. White patches on the wings appear as a bar when wings are folded. In 1978, 569 pairs were observed on 11 islands. In 1997, a repeat census was attempted, but proved very difficult because it was not possible to land. However, colonies were noted on 13 islands, and 120 nests and 368 birds were counted. The islands were surveyed again from land in 2005 when 618 individuals were counted. Although it is not known whether differences in the estimates are due to differing survey methods, differences in peak breeding times between years or a true change in numbers, comparison with other species surveyed at the same time suggest that the growth trend is genuine. However, the population is likely to fluctuate markedly as a result of weather conditions which affect feeding. 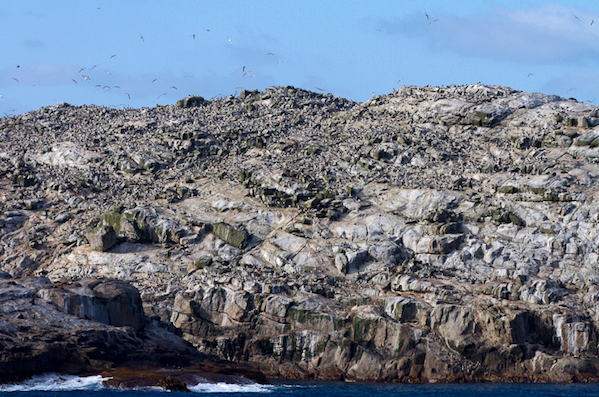 The shag breeds mostly on narrow cliff-side ledges, with nests often as little as one metre (3.3ft.) apart, and feeds on fish, snails, squid, isopods and crabs. Salvin’s Albatross, Thalassarche salvini, ranges across the Southern Ocean. A medium-sized mollymawk in the albatross family, it was long considered to be a subspecies of the Shy Albatross. However molecular analysis has shown that it and the closely related Chatham Albatross (also considered to be a subspecies of the Shy Albatross) are actually sister taxon, and more distantly related to the Shy. All three are now widely regarded to be separate species. The Salvin Albatross was named by Lord Lionel Walter Rothschild for the distinguished ornithologist, Osbert Salvin. The Salvin’s Albatross has a grey head, mantle and back with a white rump and underside. Its bill is pale grey with a yellow ridge and tip. It can be distinguished from the Chatham Albatross by its larger size and grey bill and from the Shy Albatross by the greyer head. Such differences can be difficult to pick out at sea. However, and this explains the under-representation of this species in at-sea surveys. The Salvin’s Albatross breed colonially on three disparate island groups in the Southern Ocean: the Crozet Islands in the Indian Ocean and the Bounty Islands and The Snares to the south of New Zealand. A single egg is laid in September and incubated by both parents until early November. Chicks fledge after about 4 months. At sea they range from South Africa across to Australia and as far east as the coast of South America. The world population is currently estimated to be around 65,000 birds, which suggests a decline in the species since earlier studies, although differences in methods make direct comparisons difficult. Taylor, R - Straight through from London, Heritage Expedition, Christchurch. Chilton, C (Ed) - The Sub Antarctic Islands of New Zealand Vol 1& 2 Philisophical Insitute of Canterbury, Wellington, 1909. Fraser, C - Beyond the Roaring Forties, Woolmore Printing Ltd, Auckland 1986. Higham, T (Ed) - Sub Antarctic Islands: A Guide Book, Craig Printing Co Ltd, Invercargill 1991. Thomas, M C - Forgotten Islands of the South Pacific - the Story of New Zealands Sub Antarctic Islands by Rosaline Redwood. A H and A W Reed, Wellington. 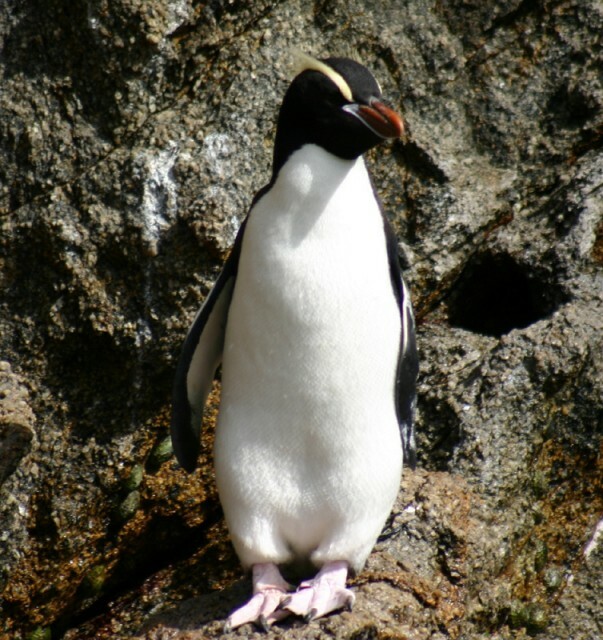 Shirihai Hadoram - A Complete Guide to Antarctic Wildlife. Alula Press Oy, Finland 2002. Dept of Conservation: Subantarctic Islands Heritage. 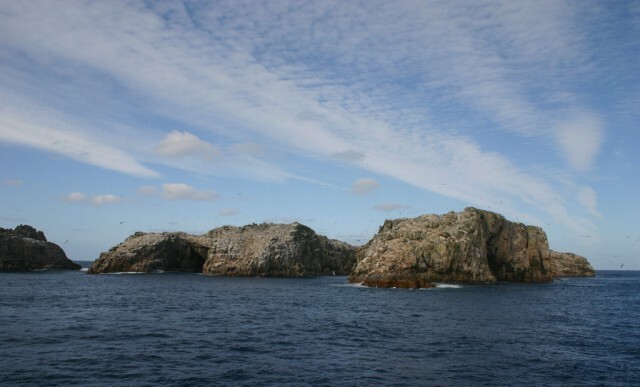 (Nomination of the New Zealand Subantarctic Islands by the Government of New Zealand for inclusion in the World Heritage List. Wellington. 1997.